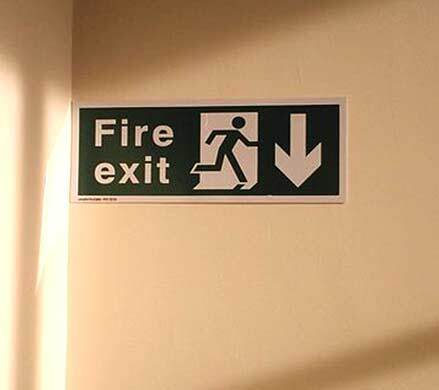 As stipulated by the fire safety, every commercial premise must have a full fire risk assessment carried out at regular intervals in order to identify and eradicate any potential fire hazards in the workplace. PranaFM is fully trained in fire risk assessment so you can be assured that the assessment you receive from us is fully compliant with fire safety legislation, all our fire assessors have real industry experience gained from years of service within the fire brigade, ensuring your fire risk assessment is both compliant and practical in terms of applying fire safety practices to your workplace. For every commercial building, it is compulsory to carry out and review a fire risk assessment of the premises, this will identify what you need to do to prevent fire and keep people safe. Evaluating, removing or reducing the risk. Evaluating the likelihood of fires starting out in your premises. Evaluating the overall safety of your premise. Evaluating the activities carried out in your workplace and how they impact on safety. PranaFm is a leading provider of thorough and compliant fire risk assessments to any type of premise, our experienced and qualified team can advise as to any remedial action that may be required. Fire risk assessment helps you identify all the fire hazards and risks in your premises, you will then be able to decide whether the risks identified are acceptable or whether you need to take steps to reduce or control them.